This is an interesting time for psychological supervision as each area of professional practice moves towards mandating supervision as a lifelong career framework. It is no longer just for trainees- yet most supervisors only have that experience on which to draw. 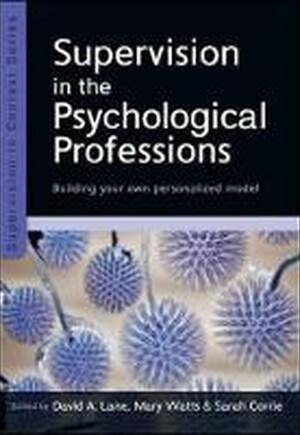 This ground-breaking book describes the emergence and growth of psychological supervision to enable effective practice. It creates a framework that enables the reader to develop a personalised model of practice in each of the following core areas: Clinical Psychology Counselling Psychology Educational Psychology Occupational Psychology Forensic Psychology Health Psychology Sport and Exercise Psychology Neuropsychology Coaching Psychology As a supervisee, this will create the basis for a negotiated approach to the supervisory relationship with intended supervisors. For the supervisor, it will enable them to understand the value they add and how best to negotiate with the supervisee to agree a shared framework for specific contracted relationships. It will also address the issue of the organisational culture for supervision and the regulatory frameworks that are emerging at local, national and international levels. Opening questions, case studies, exercises and concluding questions will encourage a reflective approach to the text.